Copyright ©2017 PTC Wizard. All Rights Reserved. The leading parent teacher conference scheduling software for schools. 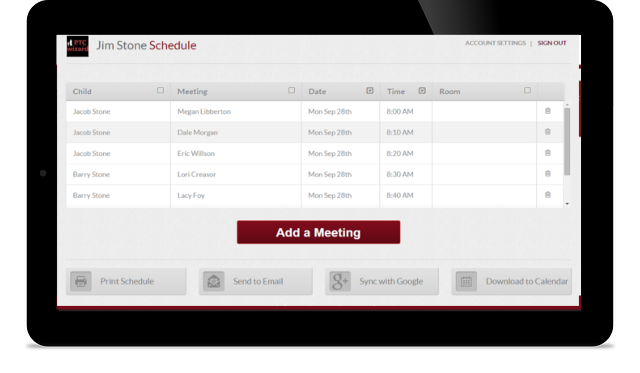 This app makes scheduling parent teacher conferences easy for school administrators, teachers and parents.